Who says chickens are stupid? Stupid people, I expect. While this research, Pigeons rival primates in number task, reported in Science News isn’t about chickens per se, it probably would apply to chickens. I mean how much smarter is a pigeon going to be than a chicken? More importantly is how scant the difference really is between ‘higher’ intelligence and ‘lower’ intelligence. Our keen perception of difference is one way we satisfy our need to feel solidly at the top of nature’s pecking order (1). The simple irony here is that the further from the top one feels, the more driven one is to make-believe they are among the chosen ones (1). The “chosen ones” I’m referring to is our Homo sapiens species in general and to each of us individually. We have made ourselves judge and jury on what is good and beautiful, and we inherit just the opposite — All under heaven realizing beauty as beauty, wickedness already. All realizing goodness as goodness, no goodness already. Oh my, what a complicated mess we can make of simple natural life. Why do we feel it so essential to be at the top of nature’s pecking order? What produces our species deep insecurity that helps drive our age-old illusions of grandeur? While these myths are especially noticeable in the Judeo-Christian-Islamic tradition, I see human superiority implied in all other religious traditions as well. Perhaps less in Taoism for ‘obvious’ reasons. For example: Meritorious accomplishment yet anonymous or Of weakness and loss through death, superior to strength. I’d guess the principle culprit here is the disconnection that our ability to think causes. As chapter 71 puts it: Realizing I don’t know is better; not knowing this knowing is disease. The entire social, survival, competitive and cooperative instincts found in other ‘normal’ animals takes on new life in our imagination. In that fertile ground, we are able to grow mole hills into mountains… I just love that expression. One of the wisest moves I have ever made was realizing that I was being a damn fool to judge humanity by its own human standards! It is a rigged, no win, paradigm in which we entrap ourselves as both judge and the judged. It appears science alone, in time, will finally release us from this trap—and only Taoism. or something similar, can help us avoid becoming trapped by science. Working Bird Pigeons rival rhesus monkeys at putting groups of shapes in numerical order. The birds also show the primate like quirk of taking longer and making more mistakes when clusters hold close to the same number of shapes. 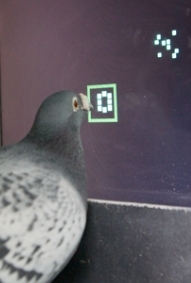 Pigeons, who aren’t even distant uncles to a monkey, have matched primates in a test of learning an abstract numerical concept. The results “suggest that despite completely different brain organization and hundreds of millions of years of evolutionary divergence, pigeons and monkeys solve this problem in a similar way,” says Elizabeth Brannon of Duke University, a coauthor of the original study of numerical order in monkeys. Human kind may be pretty proud of its numerical prowess, but numbers — four succulent fruits versus eight, one lurking lion versus three — matter very much in animal life, too. Research is uncovering various kinds of number-related abilities in animals as diverse as the honeybee, mosquito fish, grey parrot, Plethodon salamanders and a water bird called a coot. (1) Regarding any differences I see as bio-illusions (i.e., the bio-hoodwink) helps me keep perspective. 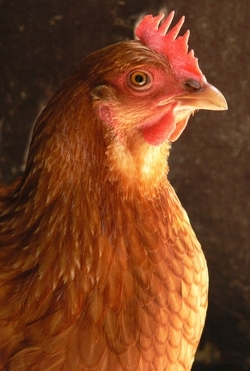 In other words, perceptions of difference are relative, evolving over time to help animals deal with their environment. As such, perception’s primary role is to ‘invite’ us to play the game of life, not to inform us of any unbiased truth of life. Perceptions called profound sameness strike much closer to the unbiased truth. (2) I see this same ironic inversion in other animals as well. Meaning, animals (including us) counter-balance the insecurity felt within by putting on an outward show of strength — puff up and bluff. However, they don’t create narratives to uphold this drive. Essentially, our ‘story-making’ is an emergent property of this fight-or-flight dynamic. Therefore, instead of judging a book by its cover, it helps to consider to what extent the inside is actually the opposite of the cover. The symptoms point of view can help guide insight.